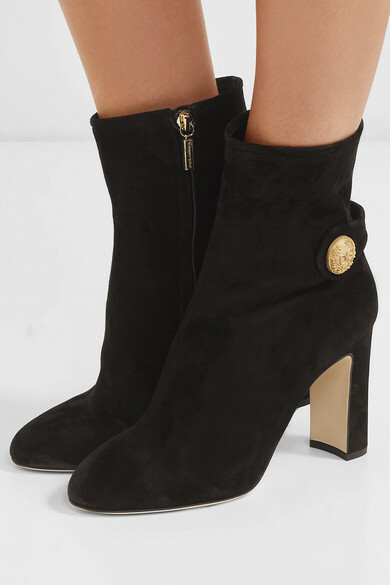 Dolce & Gabbana's ankle boots have been made in Italy from supple suede and are simply detailed with a logo-embossed gold button. 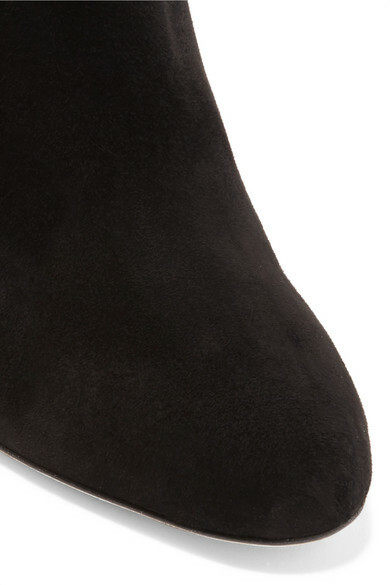 Designed to hit at the slimmest part of your leg, this pair is set on a block heel that offers plenty of height but still feels comfortable to walk in. Style yours with a pair of straight-leg jeans. 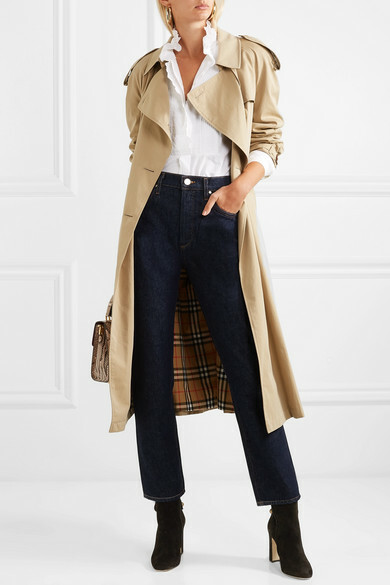 Shown here with: Goldsign Jeans, Isabel Marant Étoile Shirt, Burberry Trench coat, Dolce & Gabbana Tote, Laura Lombardi Earrings.